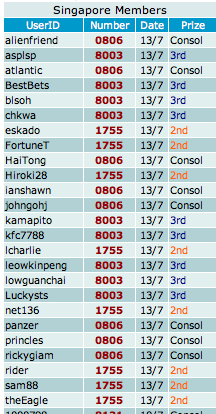 Today, so many members are very happy with the winning. We work extremely hard to make changes to our SMS 4D system to benefit our members. Recent changes that focus mainly on direct 4D has proven to have fantastic result. Today alone, more than 17 members are winning big prizes. Take a look at the SMS4D result. Join Gold membership now to receive direct 4D now!